The term single family office comprises all organizational units owned by an entrepreneurial family that manage or invest the family’s assets and are committed exclusively to the interests of the respective family. For our study, we contacted 323 SFOs primarily in Germany, Austria, and Switzerland. During this research project, we have been fortunate to talk in-person with 109 German-speaking SFOs. We have spent around 10,000 miles on the road and over 200 hours in personal interviews with principals and family officers. The insights and respective heterogeneity of SFOs, especially with respect to their corporate structure and investment behaviour, will not only help researchers and practitioners better understand the SFO landscape and uniqueness, but also to make this – so far – non-transparent field more accessible for many researchers to come. The entrepreneurial background of the families was multifaceted, although there was more of a focus on the manufacturing industry and trade. Interestingly, a quarter of all SFOs additionally noted an active business background in real estate. This phenomenon is not surprising, because many business families, that are, for example, in retail trade, have been buying the properties of their company branches over the past decades and have therefore established a significant additional sector to their initial core business. The indicative volume of wealth of the SFOs ranged between tens of millions and tens of billions of Euros. In most cases, the family wealth originated from the full or partial sale and/or surplus returns of their family business. In certain cases, the entrepreneurial origin could be traced back to over 30 generations of continuous entrepreneurial family activity. However, the entrepreneurial generation of the family and the SFO generation can often differ significantly. In fact, SFOs are a rather young phenomenon: almost 90% of the family offices in the survey are in the first or second SFO generation. Although there are many traditional entrepreneurial families in Germany, it was not until around the early 1970s that a few families began to set up an actively managed SFO. 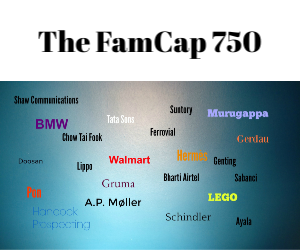 So it is no surprise, that over 80% of our sample founded their family office after 1990. The heterogeneity of SFOs is manifold and each SFO focuses on the respective interests of the owning family. One might hence assume that concrete trends and conclusions are difficult to be drawn. Throughout our interview process, we found out that SFOs can actually be subdivided and differentiated along two respective questions. First: Is the original family business still owned by the family? (55% of all cases). Second: Is the SFO still in the first generation? (47% of all cases). Asset allocation is a key challenge for many SFOs. In this respect, throughout our interviews, we recognized two main challenges and trends for SFOs. First, the current low-interest rate environment challenges SFOs to generate attractive returns in low-risk asset classes. In recent years, SFOs have therefore increasingly put a focus on alternative, illiquid investments, such as venture capital. Second, the financial sector is more and more under media distress and banking scandals all around the world have caused serious disruption of trust of the principals to outsource their asset allocation to financial service providers. The trend towards “do it yourself” consequently increases and we see many SFOs investing in start-ups or established companies directly, not via fund structures. However, German entrepreneurial families appear to be culturally more reticent when it comes to VC investments compared to e.g. the US where VC investments traditionally play a much more important role. The perception that SFOs are a more passive strategic asset allocation vehicle, that outsources investment activities to financial service providers and primarily handles the family’s concierge service is a prejudice and – in our opinion – clearly outdated. SFOs maintain the entrepreneurial spirit of the family over generations and implement this entrepreneurial spirit in varying degrees through investments. Notably, 30% of our interviewees are active investors in VC and around 50% are active investors in established companies. We see a clear entrepreneurial orientation in SFOs that (1) sold their family business and (2) are in the first generation. This active entrepreneurial orientation, especially towards VC investments, decreases in later generations. Comparable to founding a business, founding an SFO motivates the leading generation to actively pursue entrepreneurial activities and to step out of passive strategic asset management. To put these findings in numbers: 34% of the SFOs that sold their family business and are in the first generation invest directly in start-ups, whereas only 15% of the SFOs in later generations invest in venture. To date, the family wealth of SFOs has mostly been generated in the “old economy”. Hence, it is not surprising that overall more SFOs focus on investing in established companies (50%) than in start-ups (30%). We see a clear trend to either one of these two asset classes and SFOs tend to put a focus on the economic business cycle of their investments. SFOs that invest in established companies, invest significantly less in start-ups (8% versus 46% that don’t invest in established companies). We can, therefore, conclude that SFOs that either sold their family firm and are in the first generation or that do not invest in established companies, tend to increasingly invest in start-ups. These SFOs are often characterized by smaller asset sizes, younger principals, and less institutionalized structures. Also, SFO founders who have previous entrepreneurial backgrounds in the “new economy” maintain their passion for start-up investments. Contrary, SFOs with a strong focus on direct investments in established firms tend to be larger in asset size, older in age, and invest more in the old economy sector. VC and direct investments are not only an asset investment. Specifically, VC requires active entrepreneurial as well as operational guidance. Established companies often require less operational but more strategic guidance through steering functions, for example on the supervisory board. Also, acquired skills and experience within the old economy sector do not necessarily guarantee successful start-up investments. Start-up investments require close monitoring, passionate entrepreneurial guidance, dedication, and time. In conversations with SFOs, we recognized that many of them phase out currently active VC investments and shift towards passive VC fund and fund of fund solutions. VC fund solutions are especially suitable for SFOs or principals with limited to no prior knowledge in the new economy sector and for investment teams that lack time to be actively involved in operational decisions, resources, and capabilities. Nevertheless, there are some measures that successful SFOs in VC take to strengthen their position and increase the likelihood of success. These include (1) a dedicated focus on maximum two industries – one of those being the sector the original family business was active in, (2) sharing of the long-standing and profound network of the entrepreneurial family with the start-up to open doors for young entrepreneurs at an early stage, and (3) a focused strategic alignment towards VC and clear dedication of experienced VC managers within the SFO team. We believe that running VC as an active asset, but in a passive way with no prior experience is likely to lead to a dissatisfying outcome. Moreover, within the SFO structure, families need to adjust their perception of risk with regards to total loss and adapt their family governance structures and guidelines respectively. Lastly, many SFOs use VC investments as a “next generation educational program”. VC investments as “play-money” for the next generation may help them get more connected to their family SFO by gaining first-hand experience in placing investments which they can relate to and which they feel passionate about. Direct VC investments are currently an underrepresented asset class in the German-speaking context. SFO VC investments are clearly a question of the age of the principal. With the change of the SFO generation and the handover of the family wealth to the next generation, the amount and absolute volume of VC investments will presumably increase within the next decade. Antonia Schickinger, Philipp A. Bierl, Merck Finck Jun.-Prof. Dr. Max Leitterstorf, and Prof. Dr. Nadine Kammerlander are part of the Institute of Family Business at WHU – Otto Beisheim School of Management (ifb@WHU). The institute sees itself as an initiator and thought leader in the fields of entrepreneurial families and family businesses. For the complete study on “Family Offices, Family Equity, and Private Equity”, please contact the team at ifb@whu.edu.